The first ABP Humber Coastal Half Marathon took place in the seaside resort of Cleethorpes on Sunday, September 3, 2017. It was a well-organized race from Tape2Tape with a great goodie bag (t-shirt, string bag, stick of rock, medal and voucher for an ice cream). 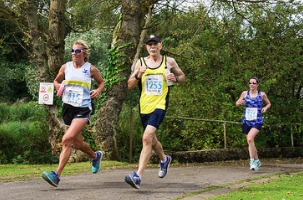 The race start and finish was on the promenade and followed the coastal path to and from Thorpe Park Holiday Centre onto a loop of closed roads and paths to Tetney Lock. Only one stretch of 150 meters was very rocky. Fabulous coastal and country views. With a 10:00 am start and temperatures of 15–17̊ C (59–63̊ F), it was good running conditions for the 1208m finishers. 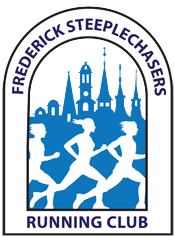 The race filled up within two weeks of registration opening. Kimberworth Striders was represented with three runners — me, Amy Clements and Janet Clark. I ran/paced most of the race with Jessica Laura Marrison who was the 5th woman overall with a time of 1:33:54. I finished in a time of 1:32:47 in 71st place taking 1st Vet 65-69. I appreciated the leg massage from the local massage centre who were close to the finish line. Note: The bib was mailed out two weeks before the race and goodie bag was presented.